Looking at you is a text work consisting of amorous messages submitted by commuters to mX, a free newspaper once distributed in Sydney, Melbourne and Brisbane, Australia. Each day, a selection was published in a section of the paper called 'Here's looking at you'. 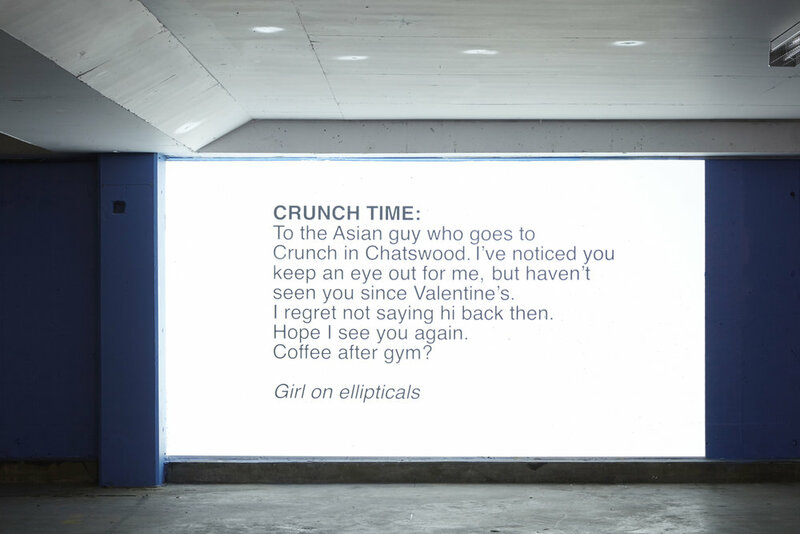 Collected over several years, a curation of these messages targeted specifically at Asian commuters was transcribed here into an animated single-channel video installation. The work highlights how the gaze blurs subject and object, and the fallibility of language in articulating longing and desire.